It’s cookie season! Wait… EVERY season is cookie season! 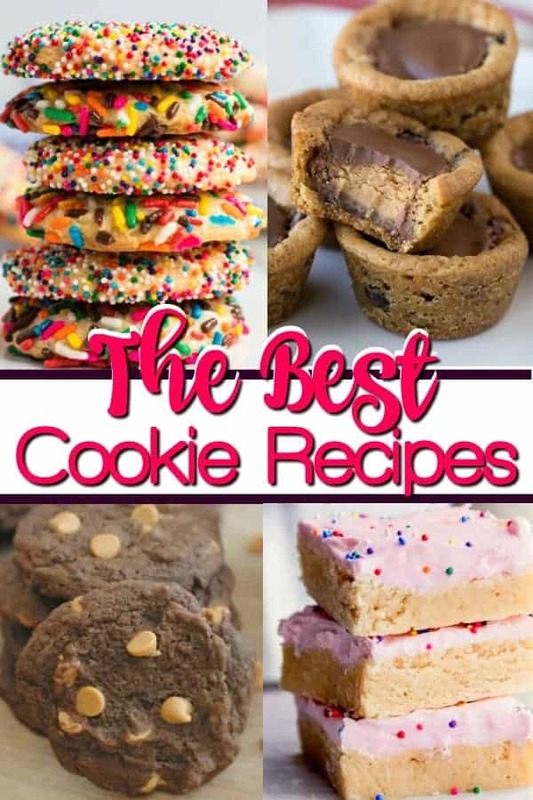 We have homemade cookie recipes from scratch and some cookie hacks. Chocolate chips or sprinkles? Soft and moist or crispy and crunch? We have all of these and everything in between. Let’s be honest, cookies are the perfect treat for any occasion. Seriously, have you ever met anyone who will turn down a cookie? 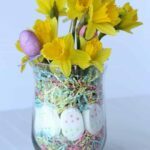 Let’s take a look at some of the (many) fabulous ways to serve them up to your favorite people. 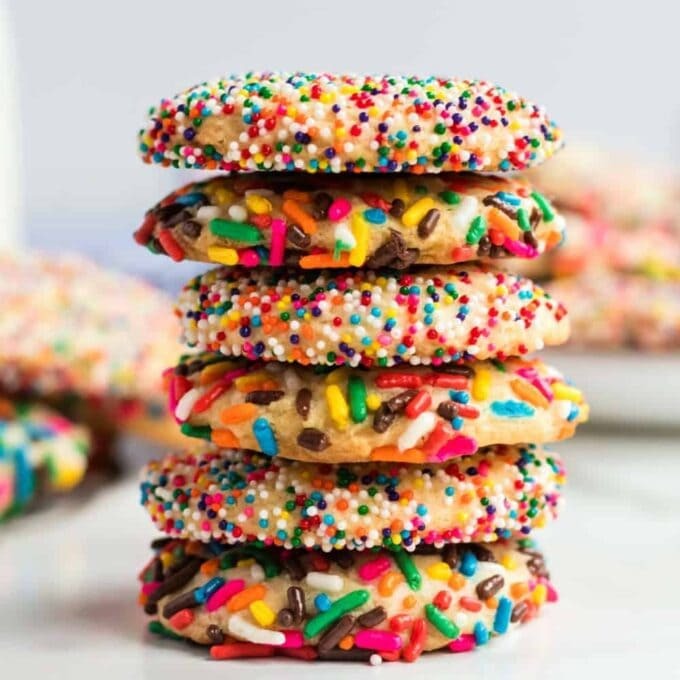 These rainbow sprinkle cookies, better than any bakery version, are so happy and colorful – They come with a no age requirement BIG SMILE guarantee! The sweet secret to making them soft is including cream cheese in the recipe! Perfect for absolutely any occasion! Line baking pans with parchment paper in case that caramel tries to escape. Don’t cool these on a wire cooling rack. “Hershey Kiss Cookies” just doesn’t do these glorious cookies justice… we’ve renamed them Peanut Butter Blossoms! And they are divine! 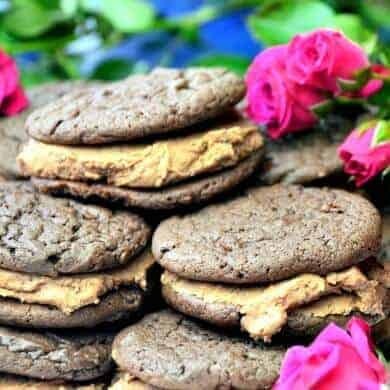 You simply can’t go wrong with the classic combination of peanut butter and chocolate. You may, however, have trouble keeping the family away until the guests arrive. This recipe gives a few tips on butter versus shortening, and how to reach perfection in about 11 minutes! 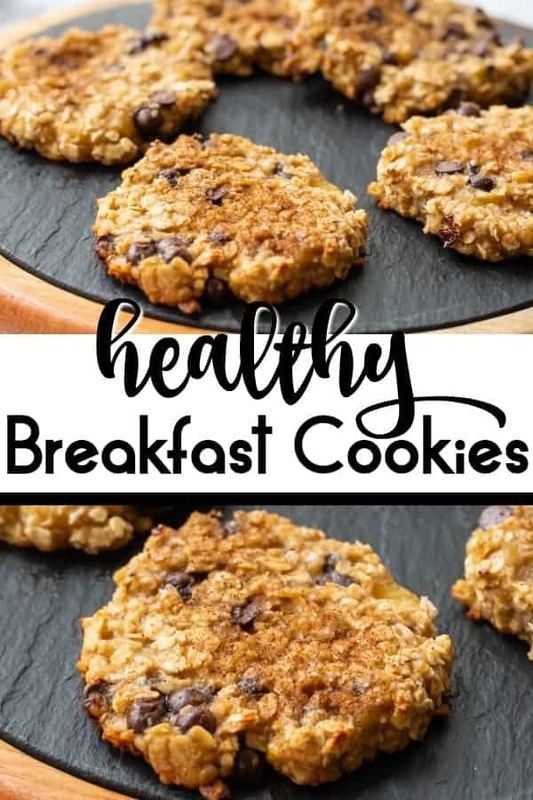 I’m just saying if you think breakfast can’t be DELICIOUS and FUN, you haven’t tried our 3-ingredient chocolate chip banana oatmeal breakfast cookies! Gluten-free and nut free, they are perfect for those with restricted diets! If you’re feeling a little sassy in the morning, sprinkle a little cinnamon for just the right amount of WOW to this fun breakfast option. The only way to improve on our fabulous blossom cookies is to infuse them with a little Christmas magic! Red food coloring, a peppermint Hershey’s kiss… and VOILA! Christmas just got a whole lot sweeter! The kids will have fun helping out, and they are the perfect addition to your recipe box of cookie recipes and for your next cookie exchange. Very merry! Molasses, cinnamon, ginger, and cinnamon maple icing… Crispy on the outside and soft and chewy on the inside… you’re not dreaming! 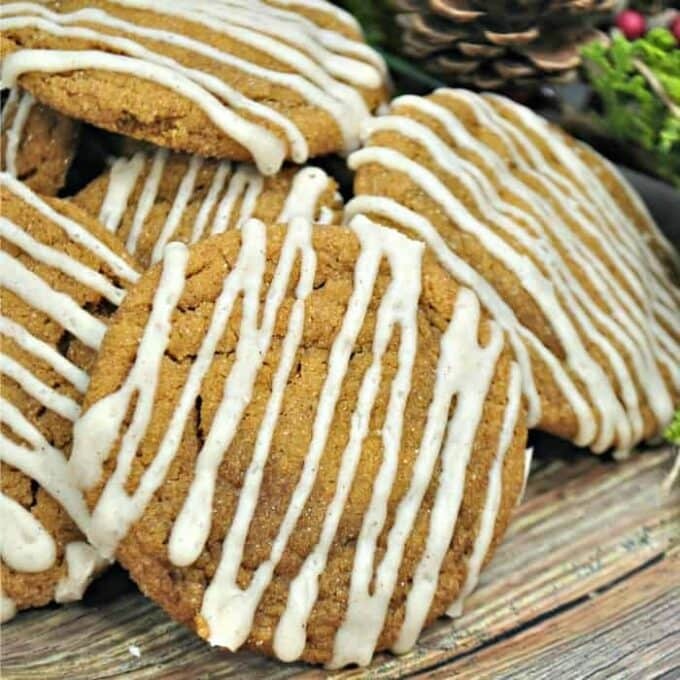 These Soft Gingersnap cookies are the real deal! These easy-to-make delights are the perfect mix of spices and will warm the hearts of everyone on your holiday list. 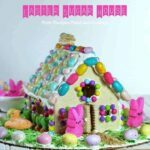 This recipe is a “snap”! 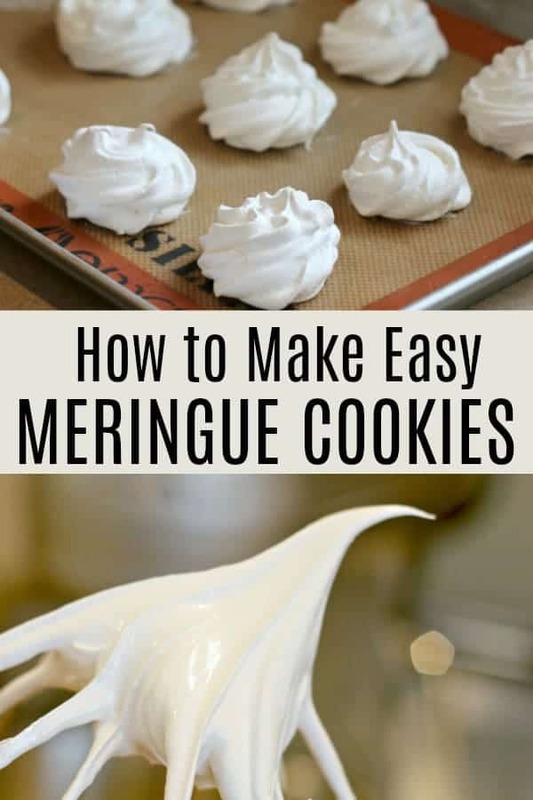 Meringue cookies are so elegant that they look daunting. But NO WORRIES! With 10 minutes and 4 simple ingredients, you’ll be an expert! We’ll take you step-by-step through the mixing process. You’ll need dry baking equipment and superfine granulated sugar to make these gorgeous, delicate, low-calorie delights! Aren’t they impressive? 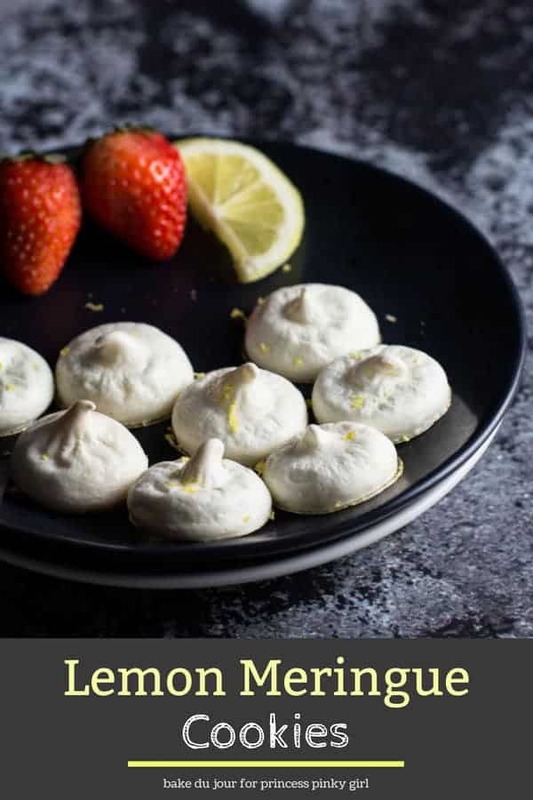 These melt-in-your-mouth lemon meringue cookies are so wonderful, you can’t possibly stop at one! 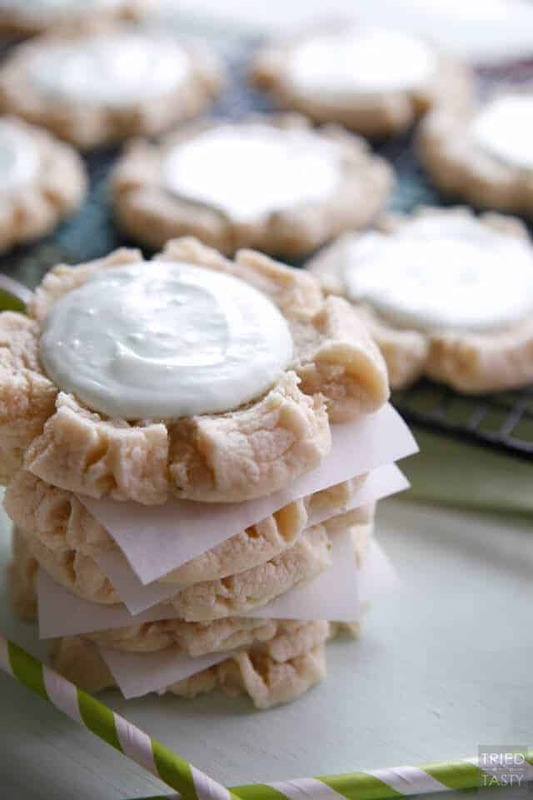 Keep in mind that the building block of meringue cookies are whipped egg whites, sugar, and cream of tartar. When you whip the egg whites, you’re looking for glossy, stiff peaks. Meringue cookies, though tiny, do require a long baking time, but it’s definitely worth the wait! Mint chocolate chip is one of my favorite ice cream flavors, but have you tried it in cookie form? It is Ah-mazing! This one is even dipped in chocolate for an extra rich flavor… yum! 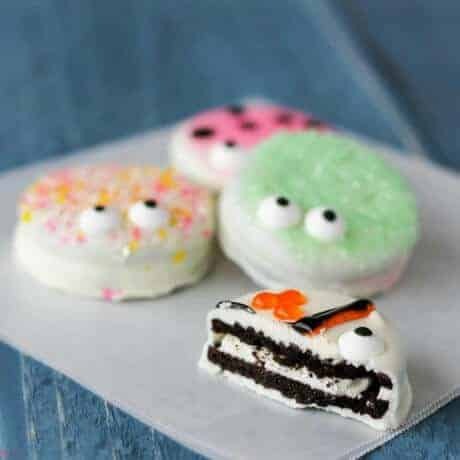 Now I don’t normally enjoy eating bugs, but these Oreo critters are just too cute to pass up. These adorable cookies are super easy to decorate and you can get the kids in on the fun! If I were to dream in cookies, it would be filled with these cookies and cream stuffed cookies. They only require 6 ingredients, too! 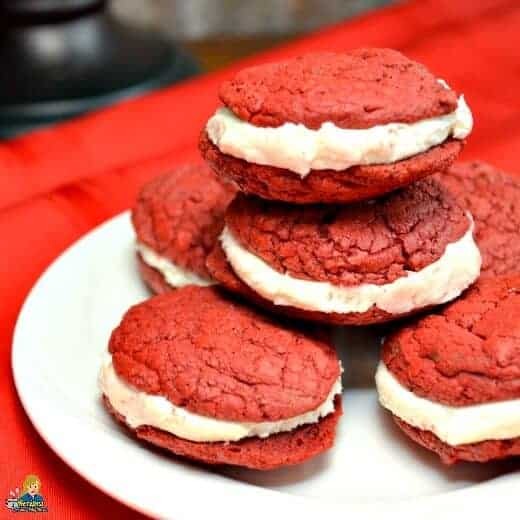 Similar to a whoopie cookie, these stuffed red velvet cookies are rich and made from a boxed cake mix. Does it get any easier? 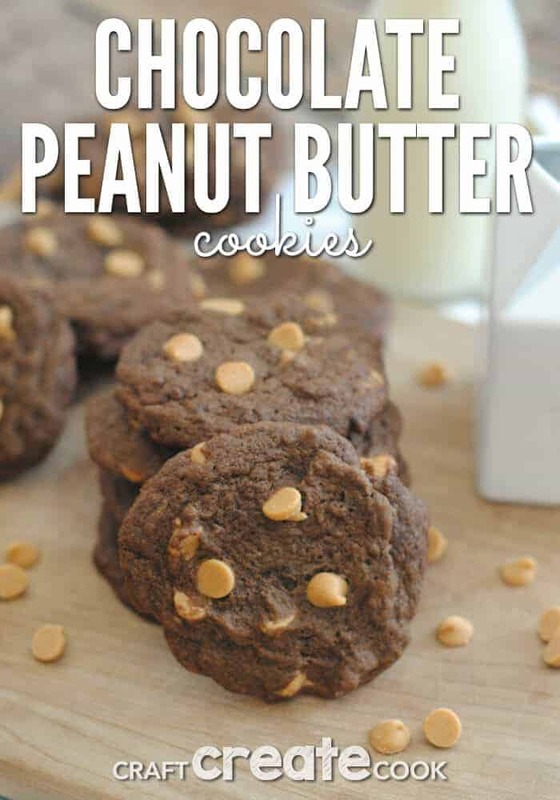 Love the classic combination of peanut butter and chocolate? These cookies are for you! This is chocolate and peanut butter heaven in cookie form. 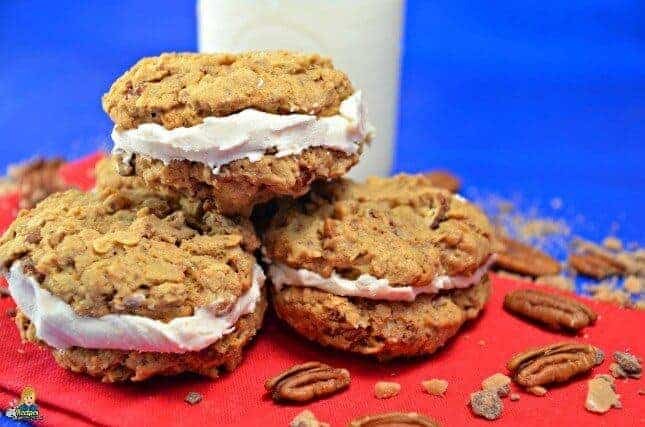 You won’t need the processed snack cookies once you learn how to make your own oatmeal cream pies. These are crunchy on the outside and moist on the inside. You can even add toffee and pecans for a stepped up version. 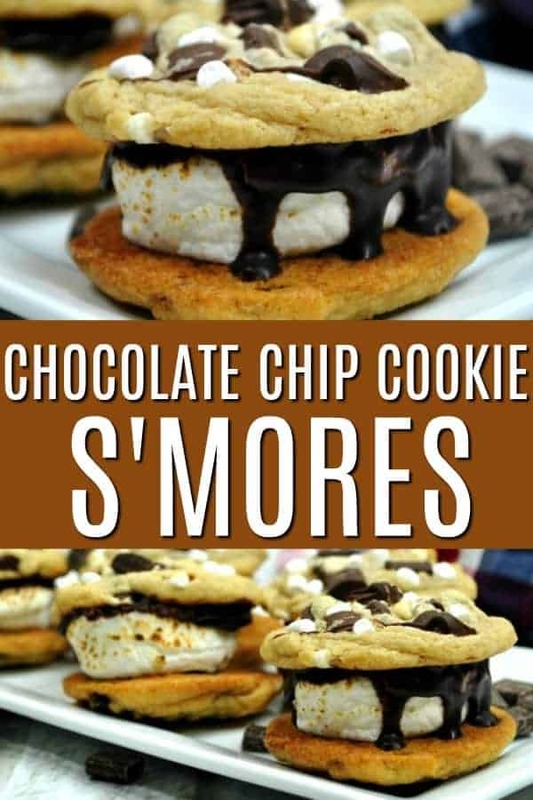 I would classify myself as an over the top kind of gal, so these chocolate chip cookie s’mores are right up my ally. Just look at these individual works of art! Back in the day, the recipe for the Neiman Marcus Chocolate Chip cookie sold for $250, but this version is absolutely free! 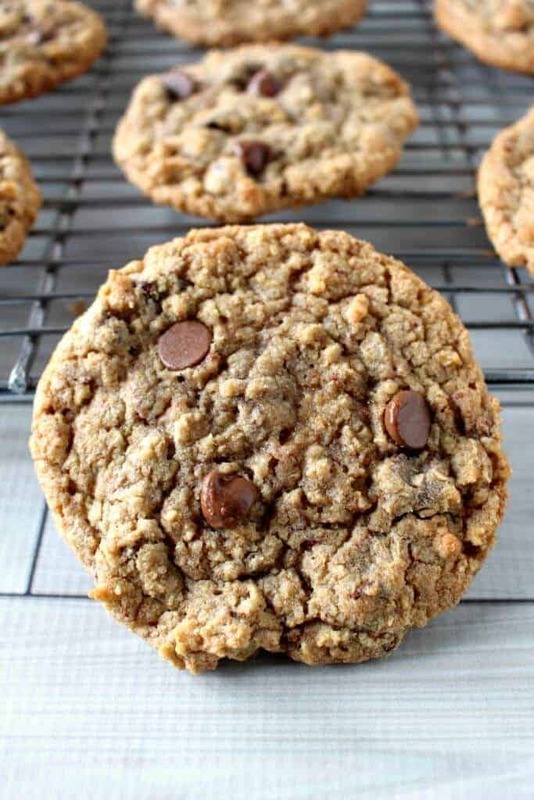 This is always my go-to chocolate chip cookie recipe because it never fails and is always delicious! 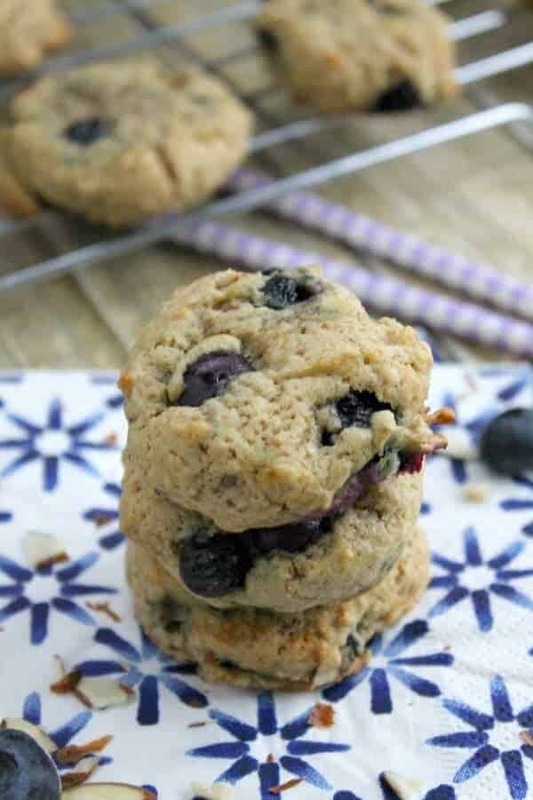 These blueberry almond cookies won’t last long at your house. Using fresh blueberries, these babies are done in an hour from start to finish. 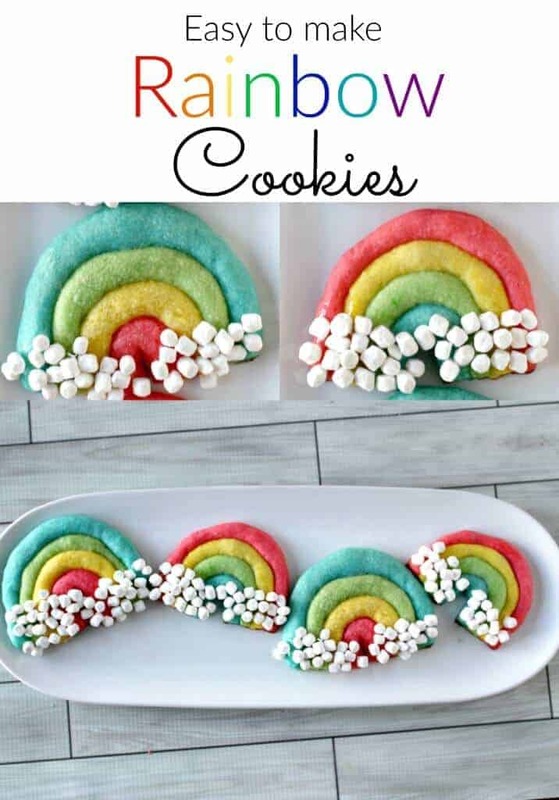 These rainbow cookies are SO easy to make and are the most fun cookie to display and eat! You don’t need a special occasion to let these cookies bring a smile to your face. 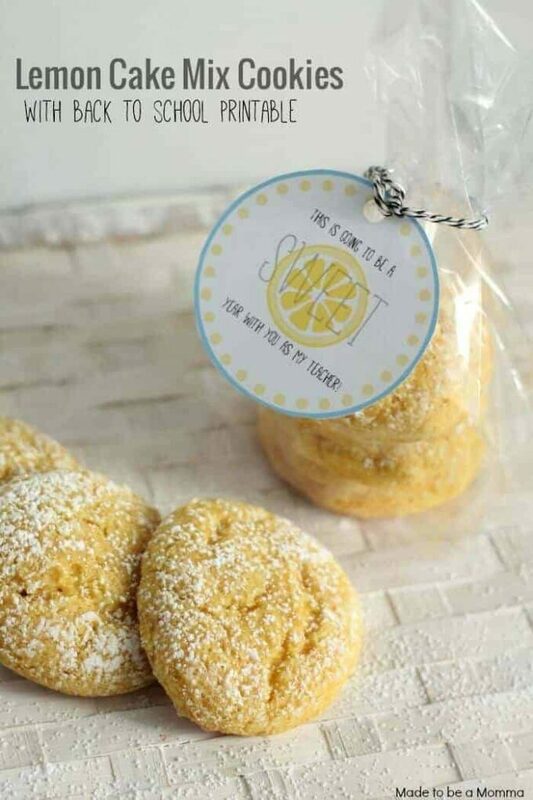 Citrus is my favorite flavor and these lime swig cookies are sweet with just the right amount of sour. 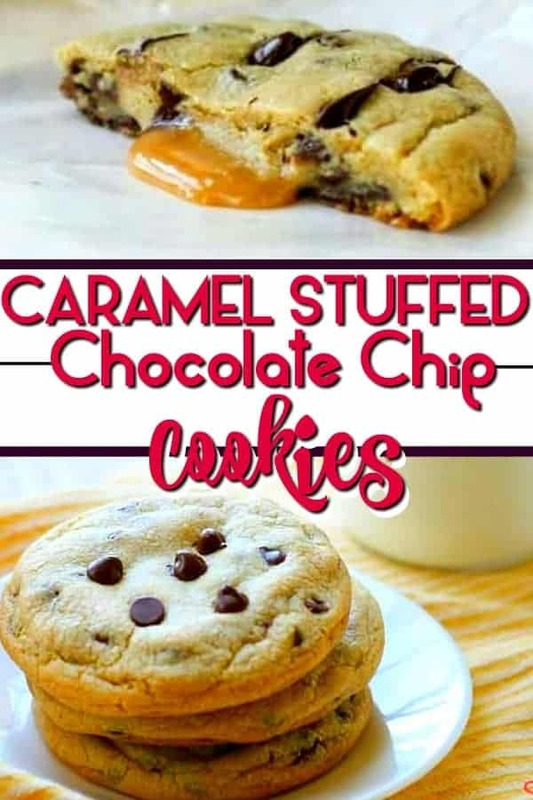 They will round out any cookie tray and are great warm weather cookies, too! 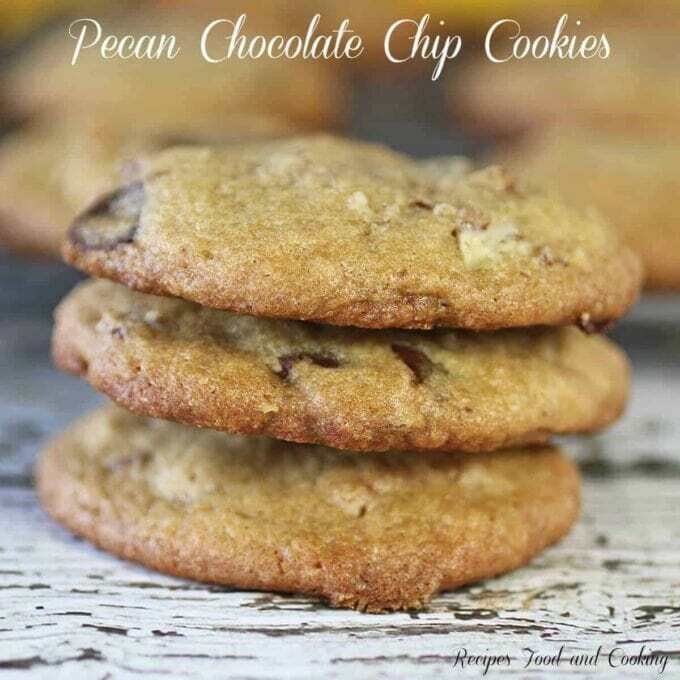 Pecan chocolate chip cookies are one of my husband’s favorite cookies. If you don’t love nuts, this recipe tastes like heaven without them, too! It truly doesn’t get any easier than cake mix cookies. 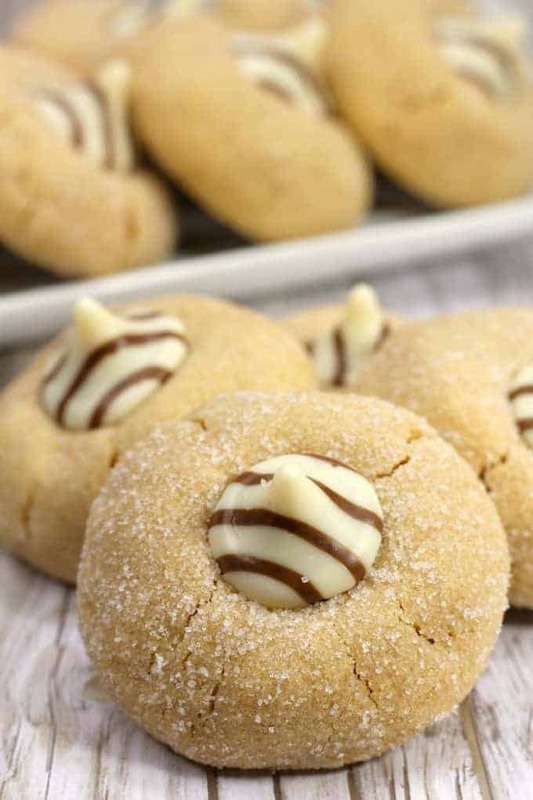 With only 3 ingredients, you can whip up a batch of these delightful cookies in 15 minutes start to finish. 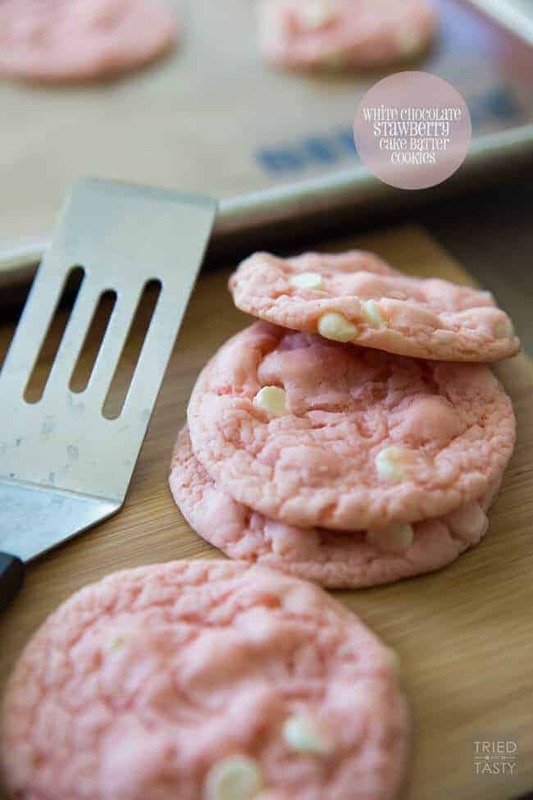 White chocolate, strawberry and cake batter… is your mouth watering yet? Mine sure is and this recipe is delicious and simply heavenly. 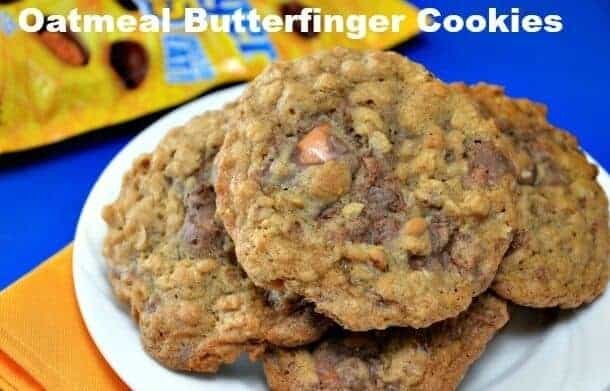 This soft, chewy oatmeal cookie is delicious, but it takes it up a notch when you add bits of Butterfinger. So, so good! 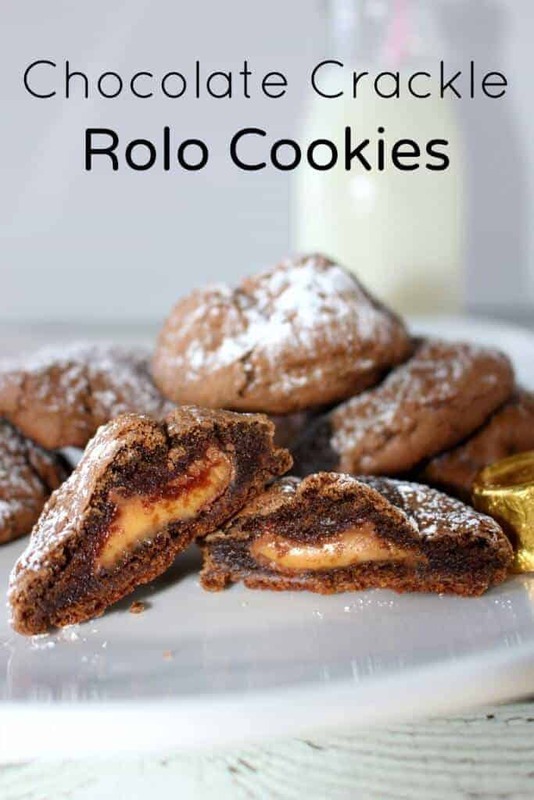 Before I begin to tell you about this cookie, can we all agree that everything is made better with a Rolo? 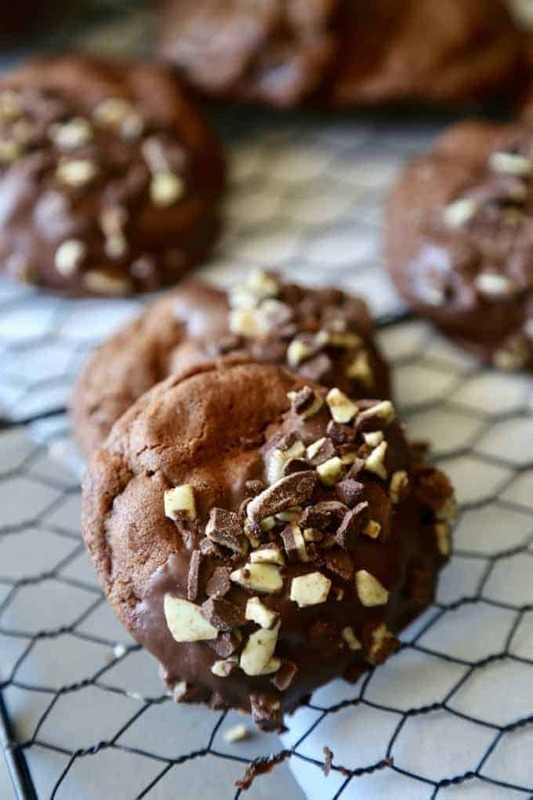 This chocolate crackle cookie is to-die-for, but when you stuff it with a rolo candy it takes it into another dimension. This cookie is totally amazing! Just hear me out when I tell you that this cookie will blow you away with its flavors. 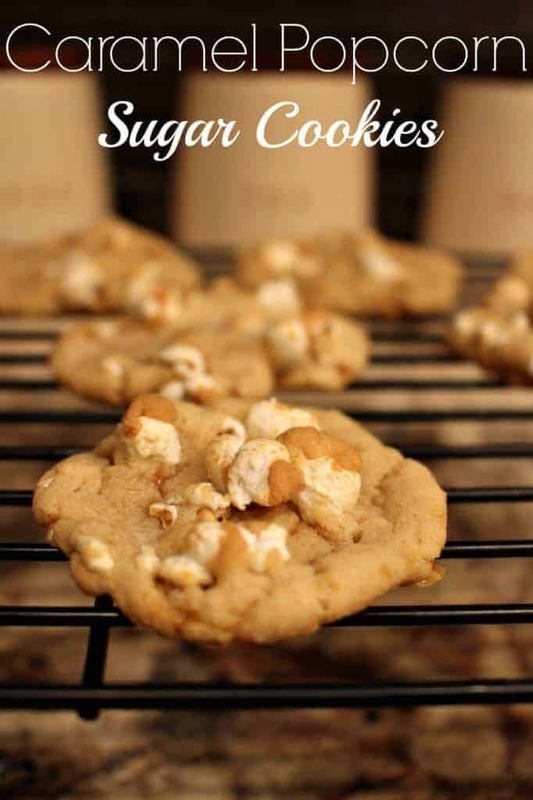 These caramel popcorn sugar cookies are crazy good. I know the flavor combination sounds risky, but trust me, take the risk! They are that good. I love lemon anything, so these cookies are a personal favorite. 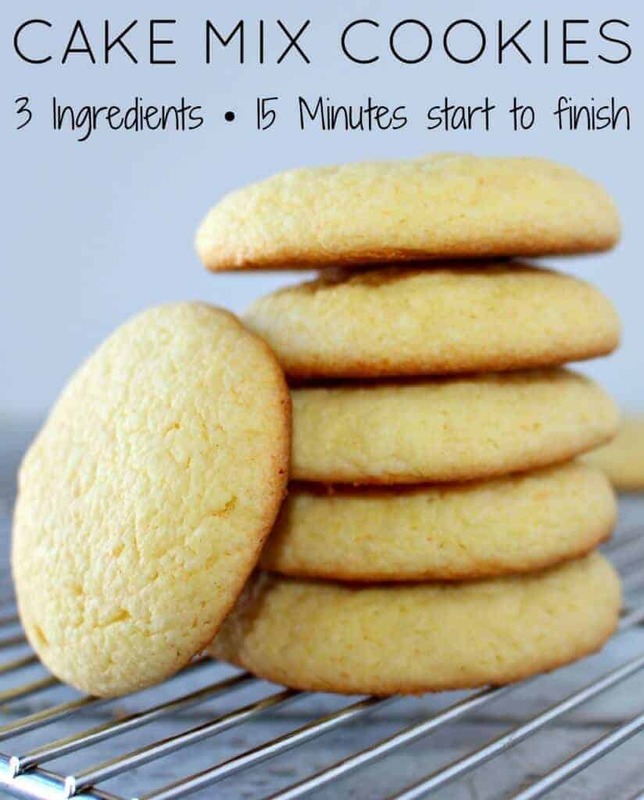 Lemon cake mix cookies… all of the wonderful flavor of a complicated cookie, but super easy and only a handful of ingredients. Just my speed. Here is another recipe where you just have to trust me. 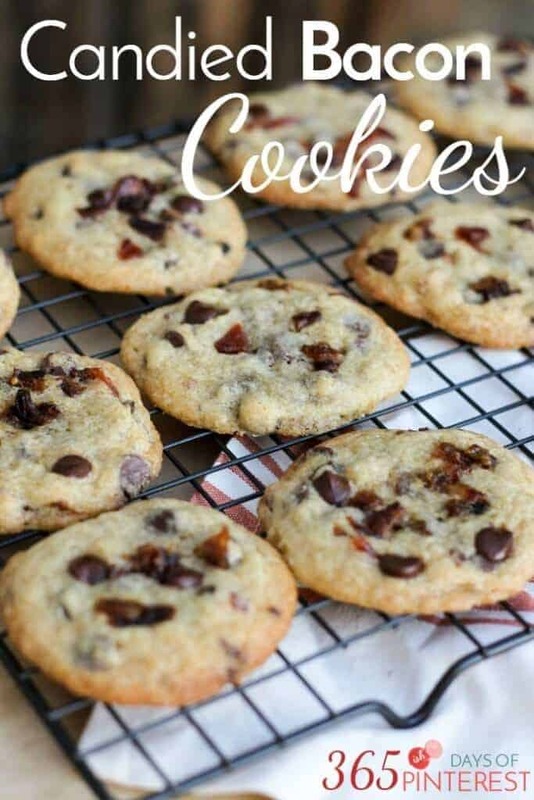 Chocolate chip cookies with candied bacon. Two of America’s favorite flavors all baked into one. They are SO good! 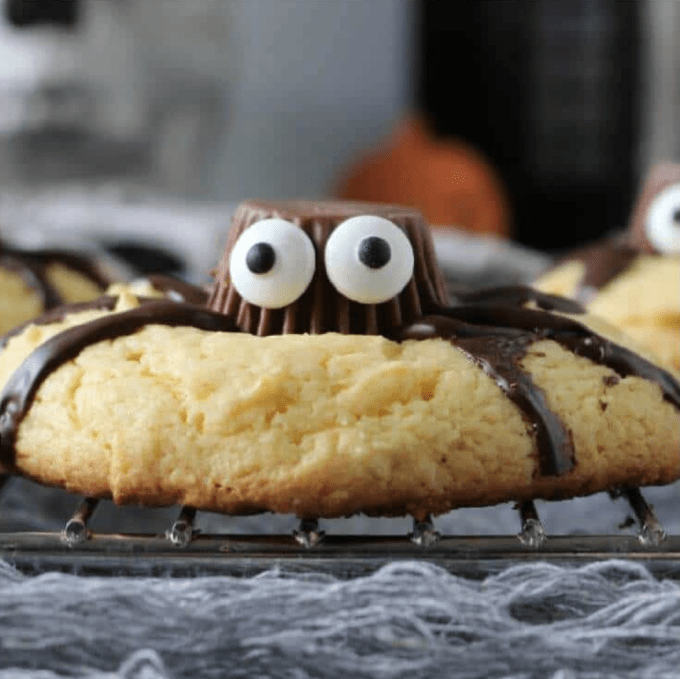 When Halloween rolls around, there is nothing more cute than these spider cookies. An all time favorite here at Princess Pinky Girl! 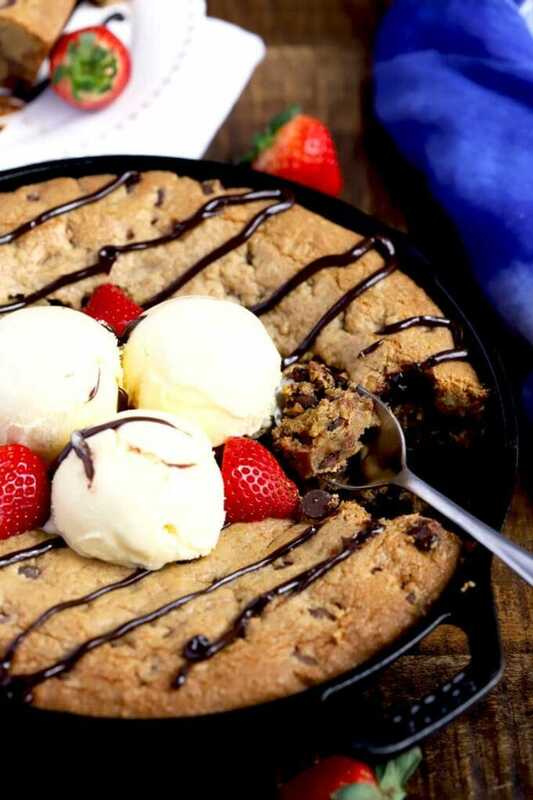 This giant cookie skillet is chewy with golden crispy edges, a soft center and loaded with chocolate chips! This easy to make chocolate chip cookie bakes in a single skillet and can be served warm right from the oven! 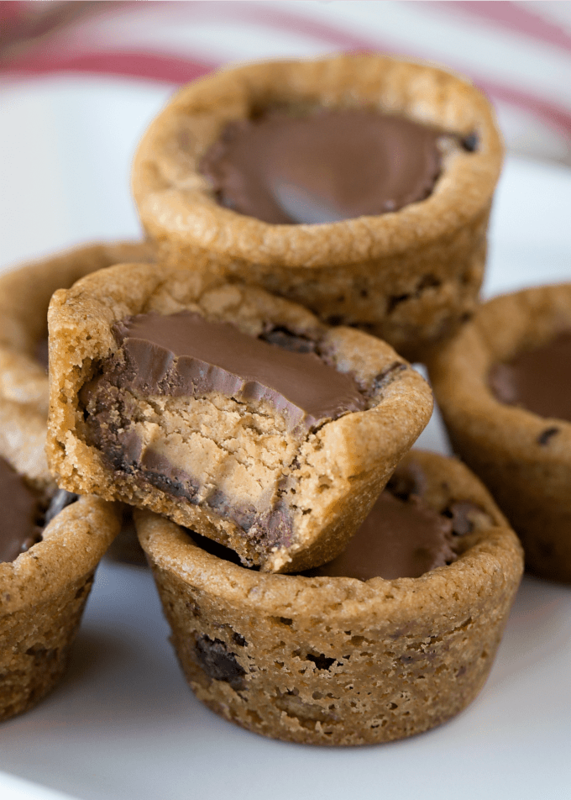 Reese’s Chocolate Chip Cookie Bites! 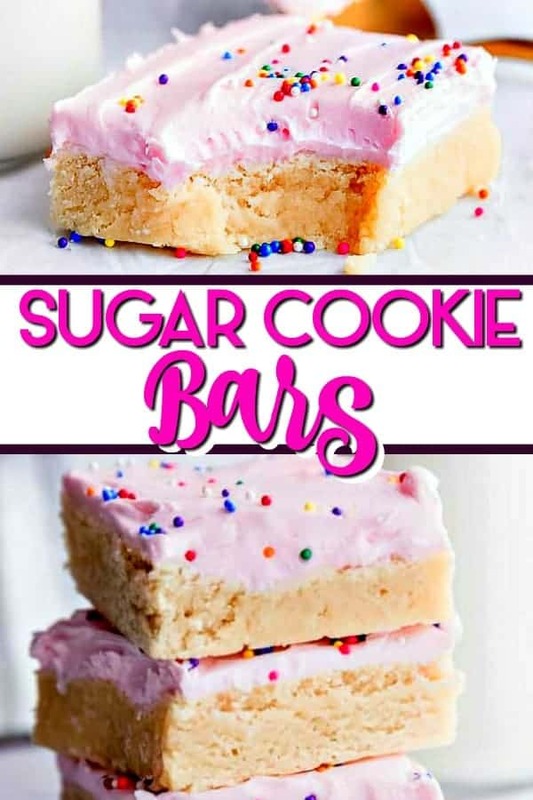 You only need TWO ingredients and they take 15 minutes start to finish. World’s easiest dessert! Thick and delicious and covered with creamy whipped frosting, topped with sprinkles and perfect to eat, love, and enjoy in every bite.